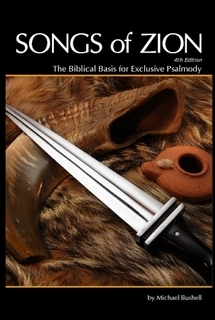 This entry was posted in Michael Bushell, Reviews and tagged books, Exclusive Psalmody, Michael Bushell, new edition. Bookmark the permalink. Do they have a Kindle version for this? That would be very helpful for some one like me who’s from India. I have heard of this book before. But i would like to know a bit about the Author. Who is Michael Bushell? To which denomination does he belong to? Is he a Scholar in this area? Please let me know about these questions and any other information which may be relevant. “Bible Software Review: By way of an introduction, please give us any personal information you’d like to share with our readers. I am looking forward to getting my copy of the new edition. I think it is the best overall and comprehensive book on the subject. Got my copy yesterday. I wish I had time to dig into it but it will have to wait for a while. Too many projects! The book leaves me wanting the evidence that Bushell states but doesn’t prove or document through footnotes. I will update if I change my mind.